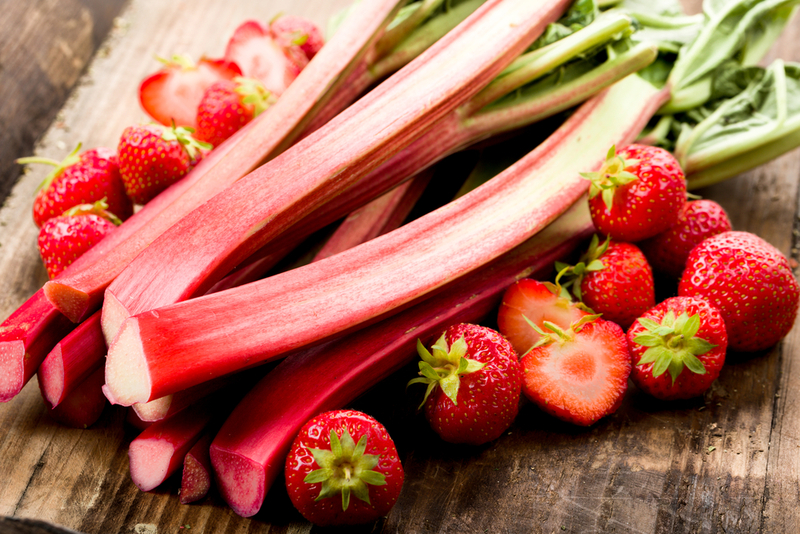 Whilst there may be some confusion around whether rhubarb is a fruit or a vegetable, there’s certainly no doubt about its nutritional benefits. Clinical Nutritionist, Suzie Sawyer, takes a closer look at rhubarb and why it’s worth including in your diet. Rhubarb is very widely grown around the world and has quite a long season but right now it’s at its best. To set the record straight, rhubarb is actually a vegetable! It has been widely grown in the UK for around 400 years and tends to be sweeter if grown in greenhouses. The redder the stalks the sweeter the taste! Rhubarb can be a little ‘tart’ hence the reason it’s often cooked with other sweeter fruits. Its ‘real’ name is Rheum which is the ancient name for the River Volga in Russia. The Chinese first discovered rhubarb thousands of years ago but it wasn’t until the 17th century that it was used in the UK as a food. 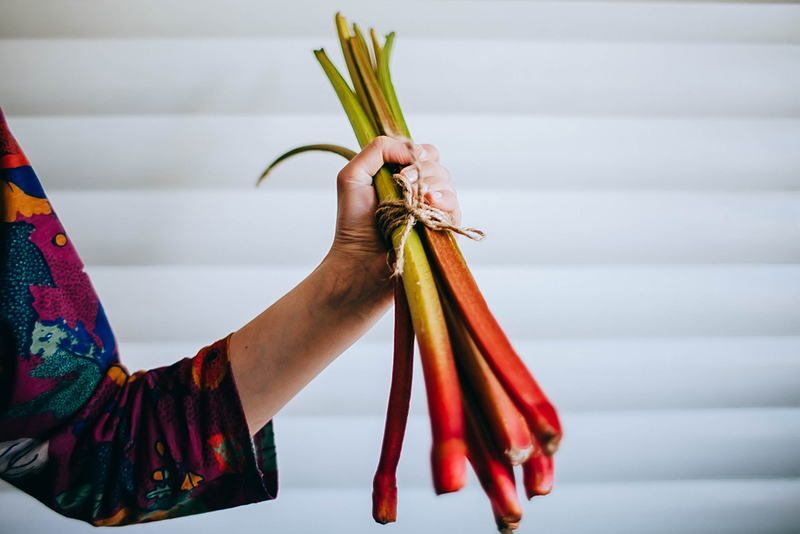 Whilst there are many benefits to including rhubarb in your diet, it is important to note that only the stalks and flowers can be eaten; the leaves are actually poisonous. Another hot tip is that rhubarb is best not cooked in an aluminium saucepan as the metal can be absorbed into the food. Other than that, it has many merits! One of rhubarb’s nutritional highlights is that it’s very high in vitamin K which is one of our key bone-building vitamins. Vitamin K is important in the normal bone re-modelling process that is constantly happening within the body. As part of their normal functioning, bone cells are constantly destroyed and re-built and vitamin K is key in this process. As with most fruits and vegetables, rhubarb contains good levels of vitamin C. Vitamin C is great for boosting the immune system and is one of our hardest working vitamins, helping to keep the body fit and well. Rhubarb is also a high antioxidant food, right up there with some of the berry fruits. Foods high in antioxidants help stave off free radicals which are responsible for the ageing process and some of our more common degenerative diseases. Therefore, including more antioxidant foods in the diet is always going to be beneficial. Research has also been carried out using extracts of rhubarb to see how it can potentially help protect against Alzheimer’s. Studies of this nature are limited but it just shows the potential power of food! When the wonders of rhubarb were first discovered a few thousand years ago, medical herbalists used it in tincture form to help ease digestive upsets. Rhubarb is naturally high in fibre so will certainly keep the bowels in smooth working order if nothing else! In Chinese medicine, rhubarb is believed to help inflammation and reduce infection. Its anti-inflammatory effects seem to help the mucous membranes. Therefore, if you’re suffering from the dreaded hay fever right now, then eating some stewed rhubarb regularly might just help. The most important point to remember when using rhubarb in recipes is that the redder the edible stalks, the more likely they’ll be sweeter in taste. Rhubarb is naturally quite sour so, but for obvious reasons, adding too much sugar is best avoided. However, rhubarb works really well with strawberries, which of course are readily available right now. Try stewing some rhubarb with a little maple syrup and then cool. Add some walnuts and mixed seeds and you’ve got yourself a wonderful breakfast topping for your porridge or cereal. 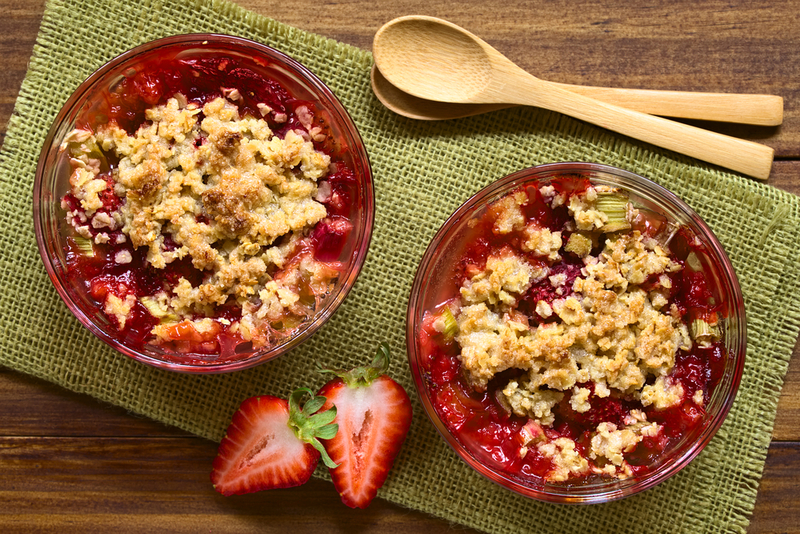 One of the most traditional ways to use rhubarb is in a crumble – a lovely indulgent pudding for special occasions. Rhubarb works really well on its own or with oranges or apples. You could even try rhubarb in a smoothie. Why not simmer some rhubarb with a little honey the night before. Then whisk up the next morning with some other berries of your choice, together with some granola for a really filling and tasty start to your day! 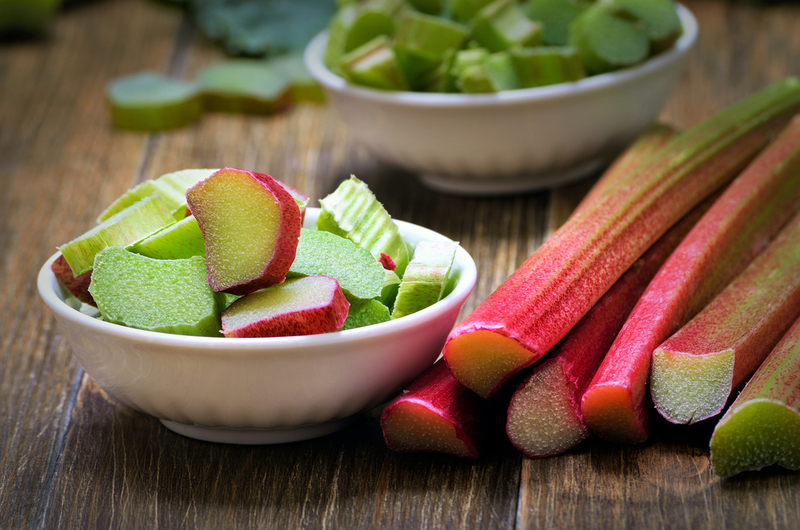 So whilst rhubarb might not always have been the first choice in your shopping trolley, it certainly offers some wonderful nutritional benefits and tasty treats. Enjoy!